The vineyard in Oggau by the Lake Neusiedl, has been continuously extended since 1996 and is approximately 14 hectares presently. 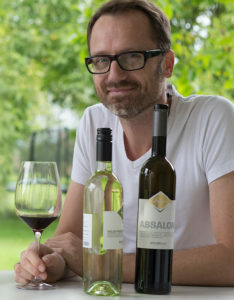 The vineyard was cultivated in the best vineyard sites, such as Marienthal, Loisland, Steinhut, Mausberg, Neugebirg, Adlersberg, Pratschweingarten and Altenberg. In hardly any other region is there such a variety of fantastic wines. This is especially due to the rolling topography and special micro climate, which can be attributed amongst others to the nearby lake. Through rigorous restriction on quantity and the stringent selection year on year, in connection with modern and gentle processes in the newly conceptualized winery, expressive and stand alone wines of the highest quality are created. In order to retain the grape’s full fruit flavour, we use a temperature regulated fermentation as you might expect, similar to traditional must fermentation in red wine production. It is stored to allow maturing – white wine in stainless steel tanks and red wine in big oak barrels or smaller casks and then bottled in Neuhofen an der Ybbs.